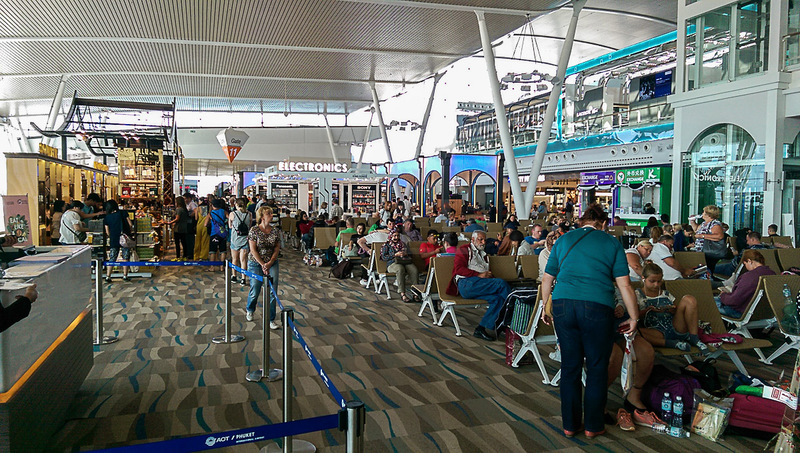 Phuket Airport (HKT) caters for both domestic and international flights. 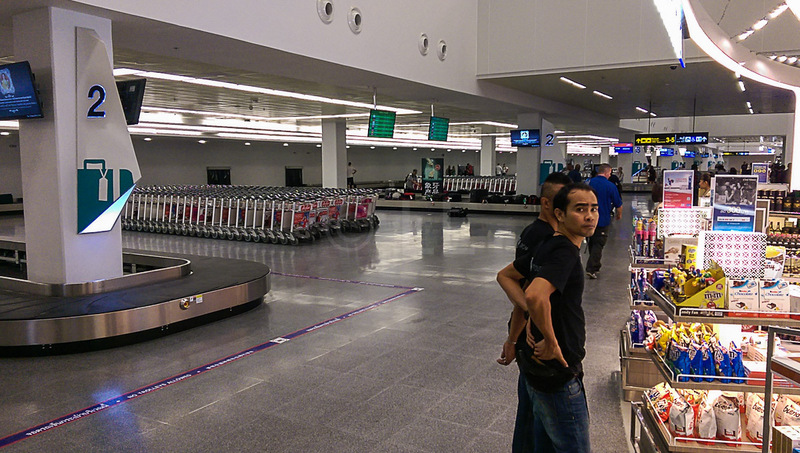 The new three level international airport has recently been opened and we passed through the new facilities recently as part of the group on Malindo Air’s inaugural flight from Kuala Lumpur. 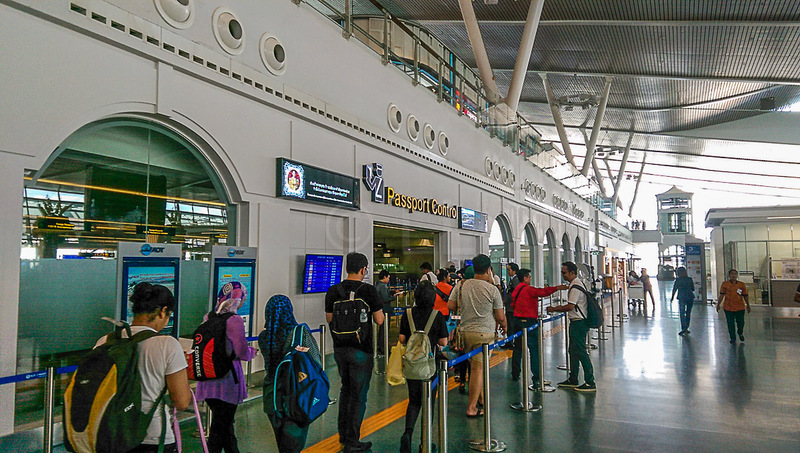 The airport is located in the northern part of Phuket Island and has a single runway oriented east/west, so you’ll take off and land over different sides of the Andaman Sea. 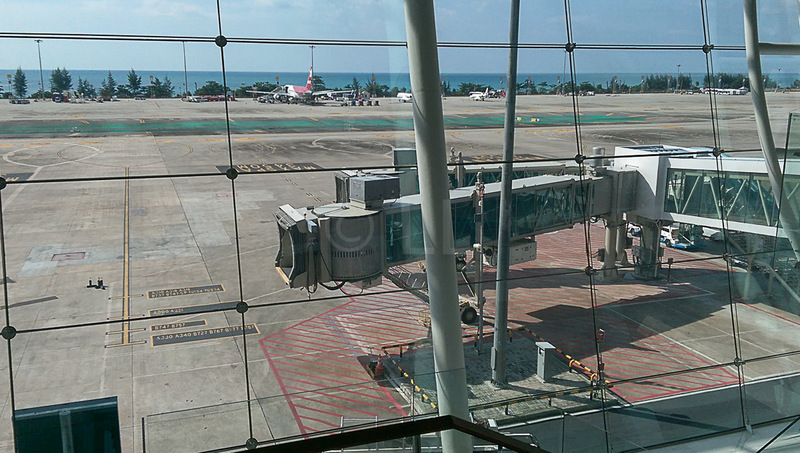 The new building is set at right angles to the runway, overlooking the Andaman Sea to the West. If you’re travelling domestically, the old airport building is still in use, with more room now available for travellers. 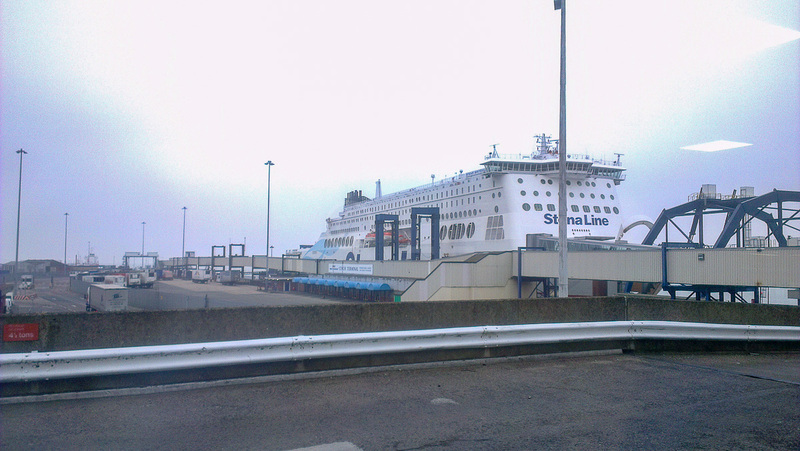 Entry into the terminal is on the middle level, as you can see in the photo above. 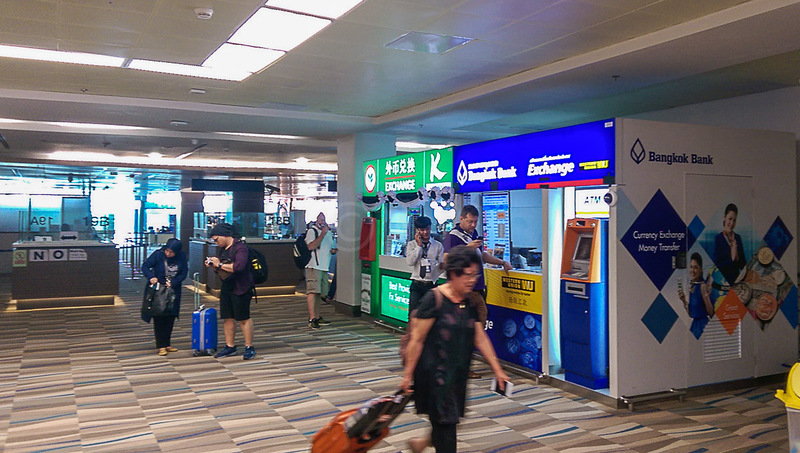 If you need a Visa on Arrival, the counter is in the middle of the Arrival Hall facing the Entry, with a Photo Booth (if you didn’t bring a photo with you) just opposite. 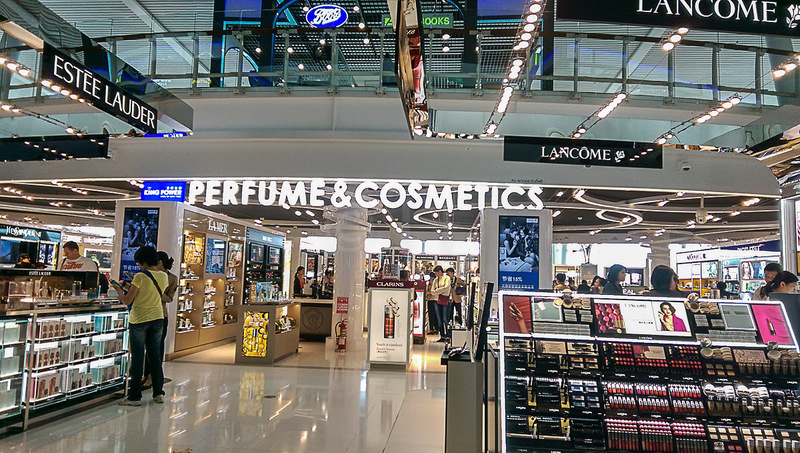 There are a few handy (but small) duty free shops and the Immigration counters are opposite these. 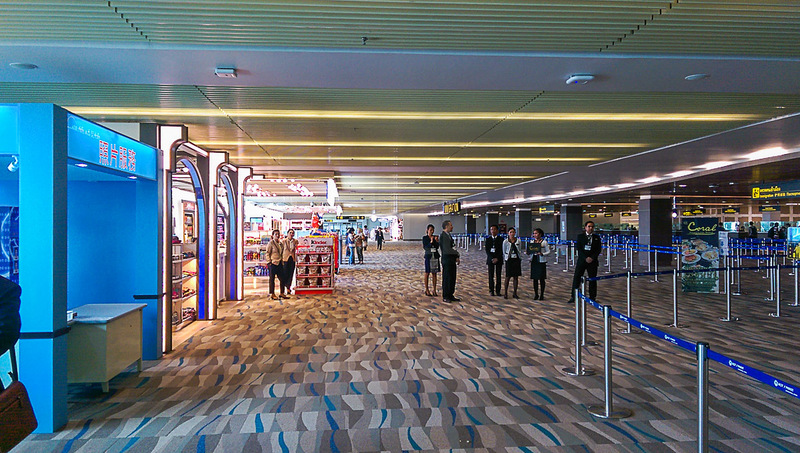 After you pass through the Immigration controls, you’ll pass more Currency Exchange booths and then it’s down to the baggage collection and Customs clearance. 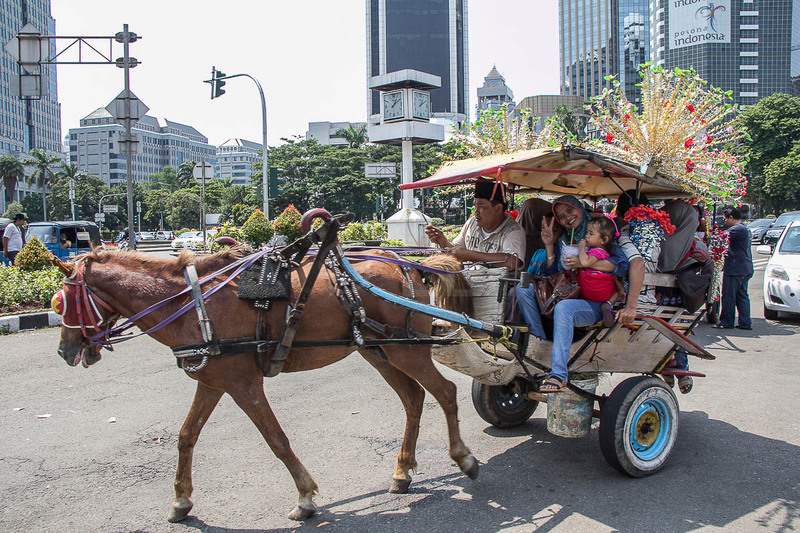 There are a couple of small stands selling chocolates and luggage, and more Currency Exchange counters. 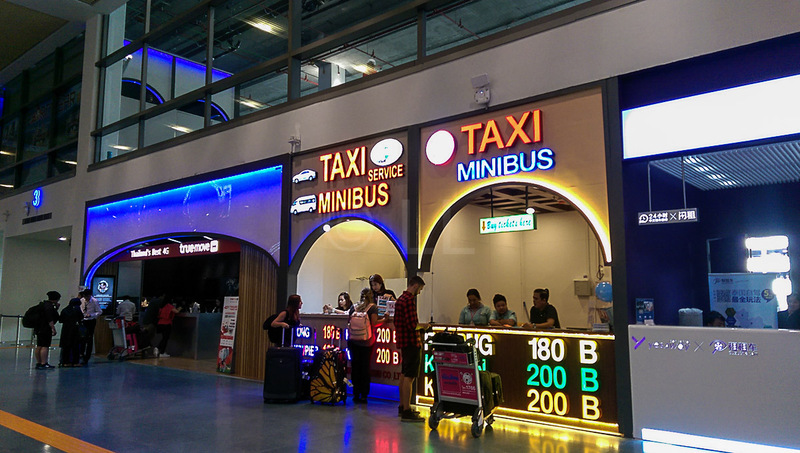 Signs are prominently displayed that indicate that the rates offered are the same, so you don’t need to ‘shop around’. 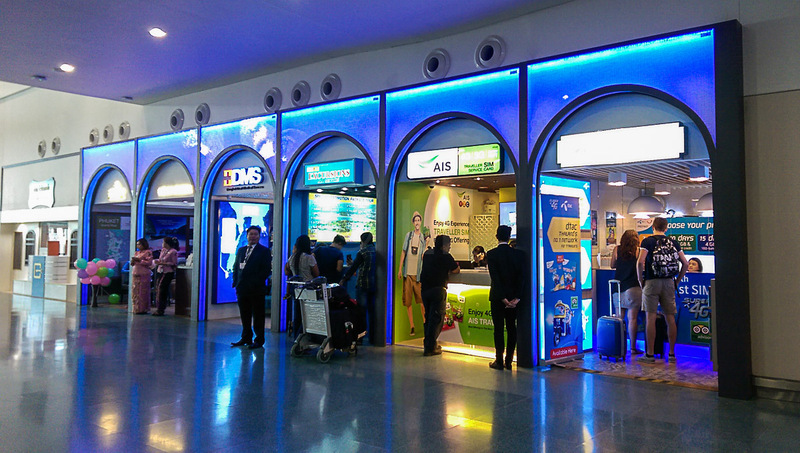 After exiting the Customs area, you will see the booths opposite, selling local SIM cards and taxi / bus coupons. Prices are prominently displayed. 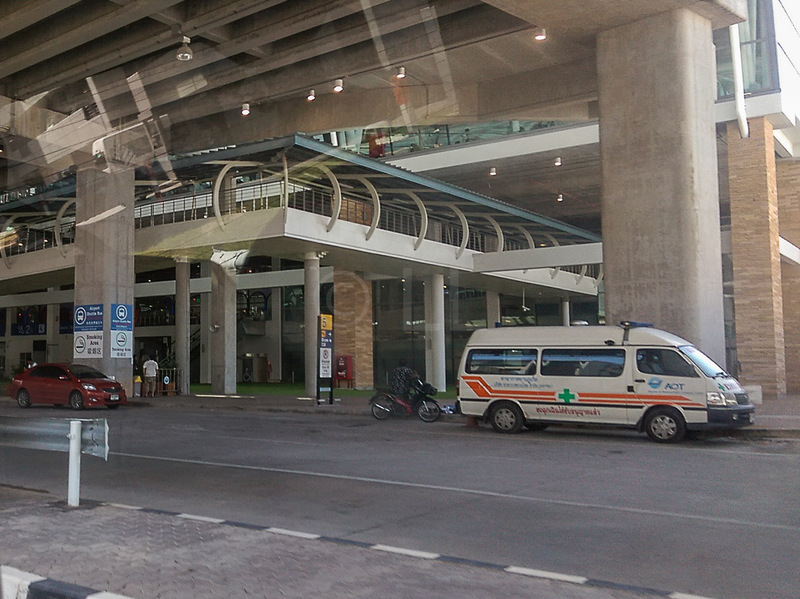 We didn’t see any of the mini taxis or local open buses and there’s no train service in Phuket. 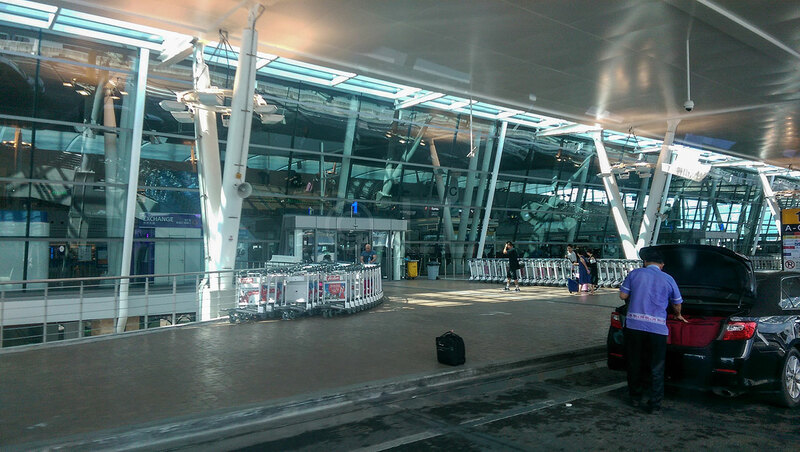 The Departure level is on the top level of the airport and there is a supply of free trolleys outside the entrance. 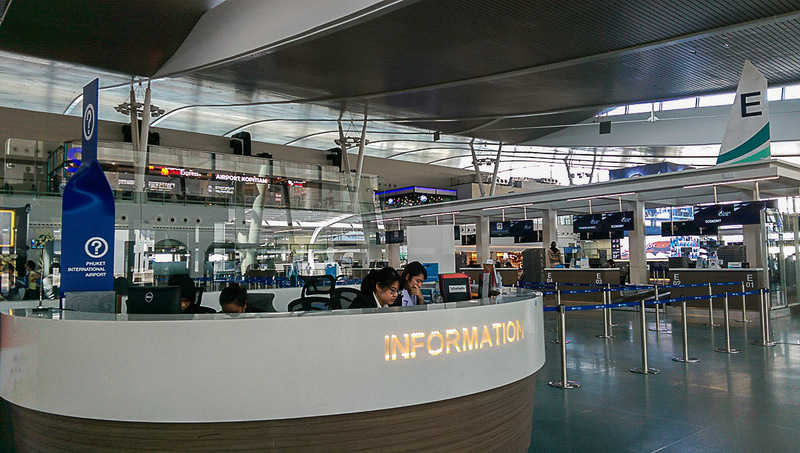 As you enter the Departure Hall, the check-in counters are seen either side of the central Information counter. 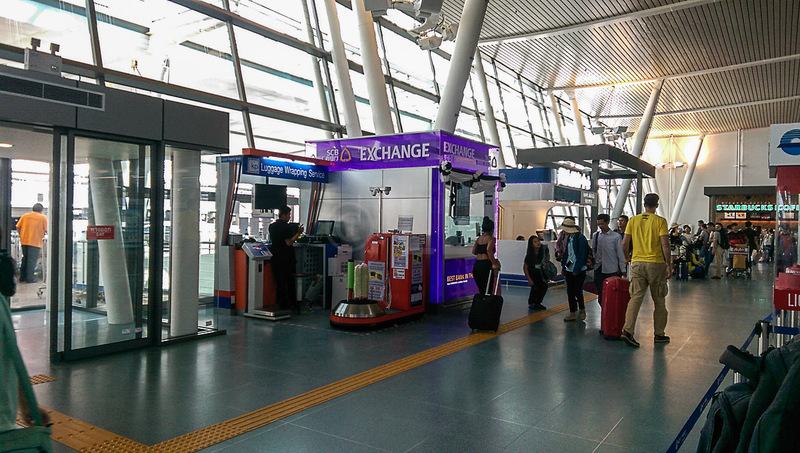 Once again, you’ll see Currency Exchange booths and there is a bag wrapping service just to your left inside the door. **Please note – Passengers on Jetstar are advised that they are not to wrap their bags – there is a notice to this effect. 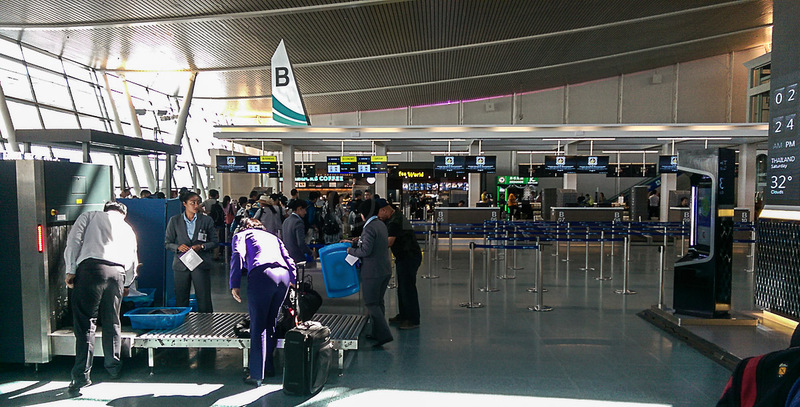 All luggage, both checked and hand carry, must be scanned before you approach the check-in counter. **Please note – Do make sure you don’t have any power packs or other batteries in your checked baggage. One member of our party had to surrender his power bank, even though he said he’d hand carry it – check the rating before you buy. 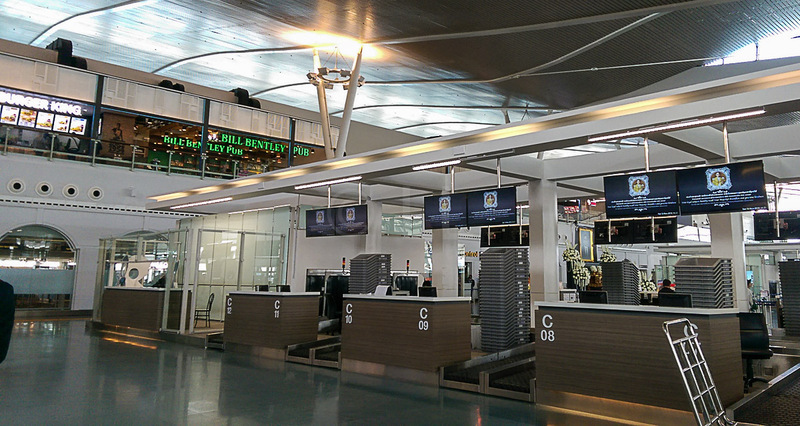 When we passed through the airport, Thailand was still in mourning for the late King and all the airline logos on check-in boards were shaded black. 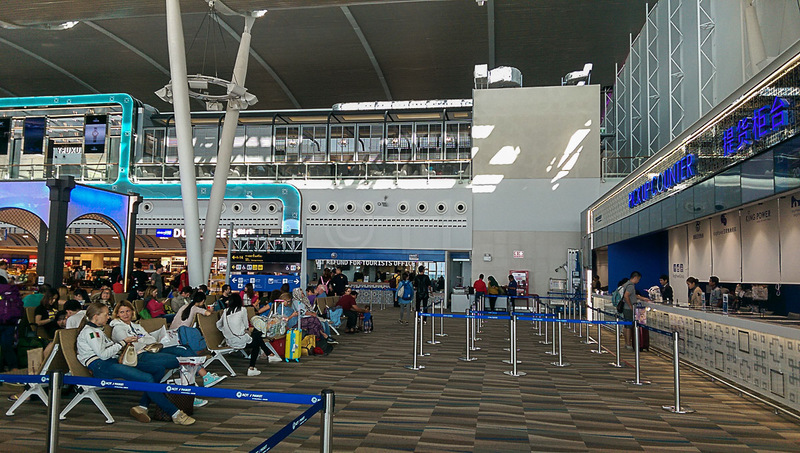 The airport was busy, but not crowded and most passengers seemed to move straight to the Departure Area past security clearance although there are a number of shops and eating areas available outside. 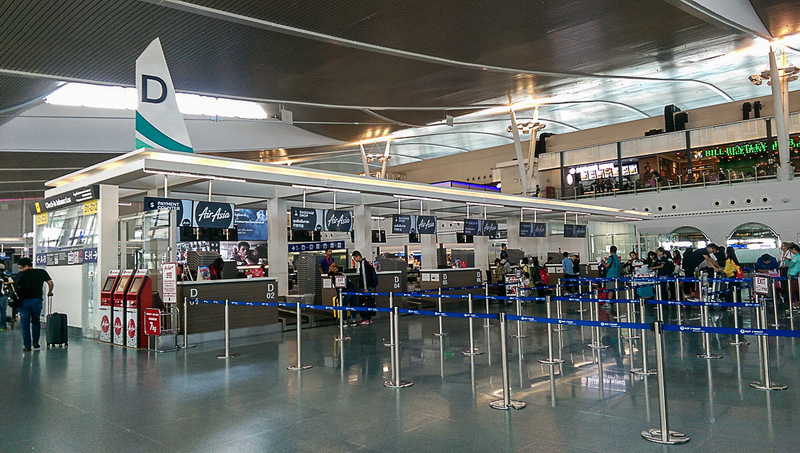 Once you pass through the Immigration formalities and security checks (they are quite thorough), you’re ‘right there’ – No long walks in this airport! The Departure Lounge uses an open concept where you are able to move around freely within the space, or rest in one of the seating areas. When it’s time for you to leave, there is minimal formality, with a quick check and then down the ramp towards the aerobridge to your aircraft. **Please Note – the announcements aren’t particularly loud or intrusive, so you’ll need to keep an eye on the time and also ensure that your departure gate has not been changed. 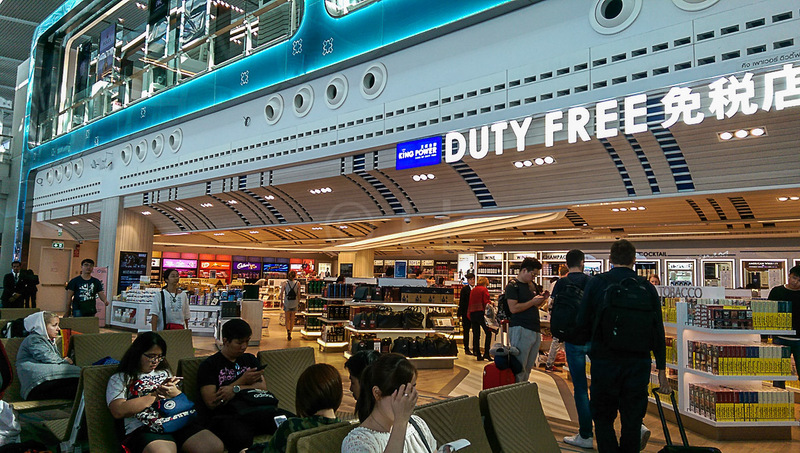 There are plenty of shops selling everything from the usual duty free offerings to electronics and local food and souvenirs.The VAT Tourist Refund counter is located beside the Duty Free outlet at the Gate 15 end of the Lounge, with the Duty Free Collection Counter nearby. 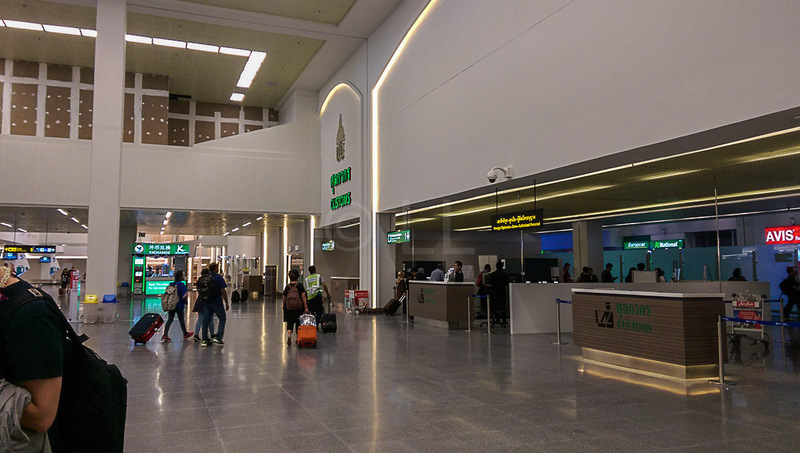 Toilets are located in the corridor between the VAT Refund and the Duty Free Collection Counters along with some public phones. The toilets were clean and equipped with paper, soap and driers but no hand bidets. We didn’t see any water bubblers / water fountains, though they may be there. 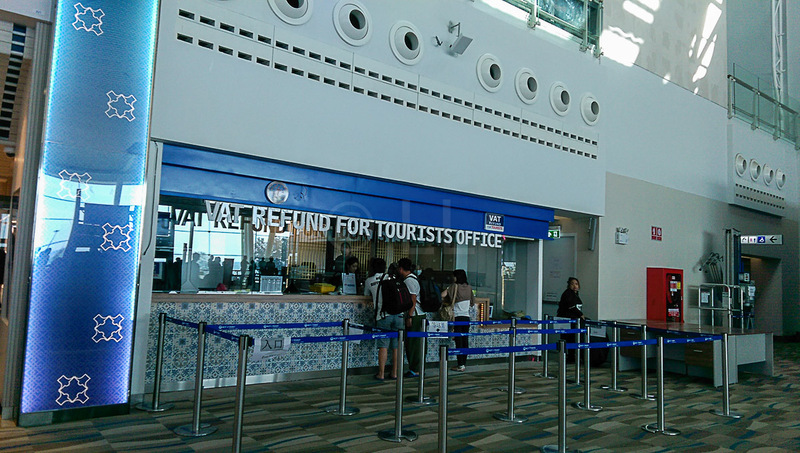 There is a small food outlet / coffee bar to the right of the VAT Refund counter. 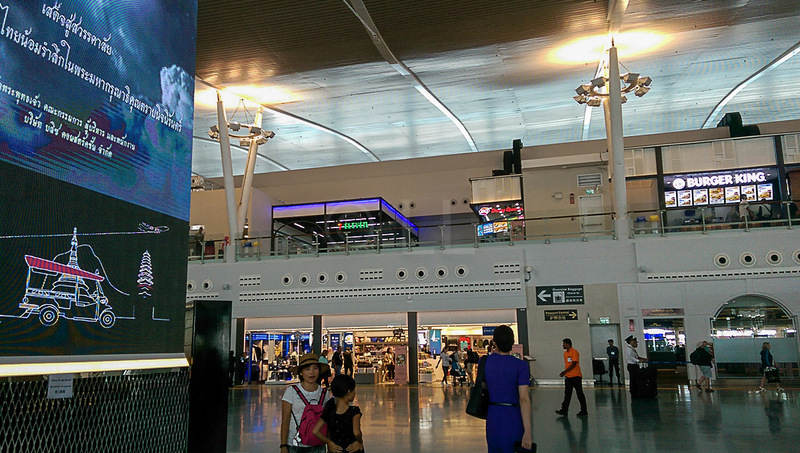 In summary, this airport is spacious and functional, based on this writer’s experience. Signage was clear and there was adequate seating during the part of the day we passed through. 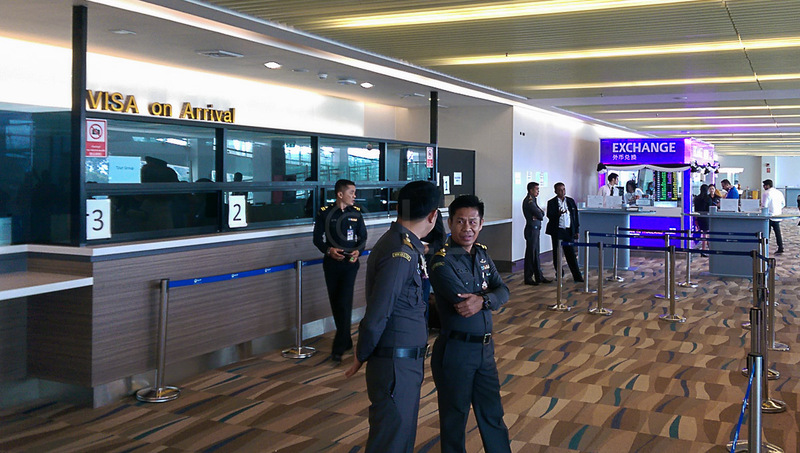 Movement through the various security checks was thorough and efficient, though check-in was a little slow, possibly as the staff seemed to be new as well.